Hyundai America CEO, John Krafcik, deserves a ton of credit. He's leading the company in bringing a new generation of Hyundai vehicles to the US (some of which will be built in the US). They are more reliable, more fuel efficient, and more stylish than anything Hyundai has sold in the US before. 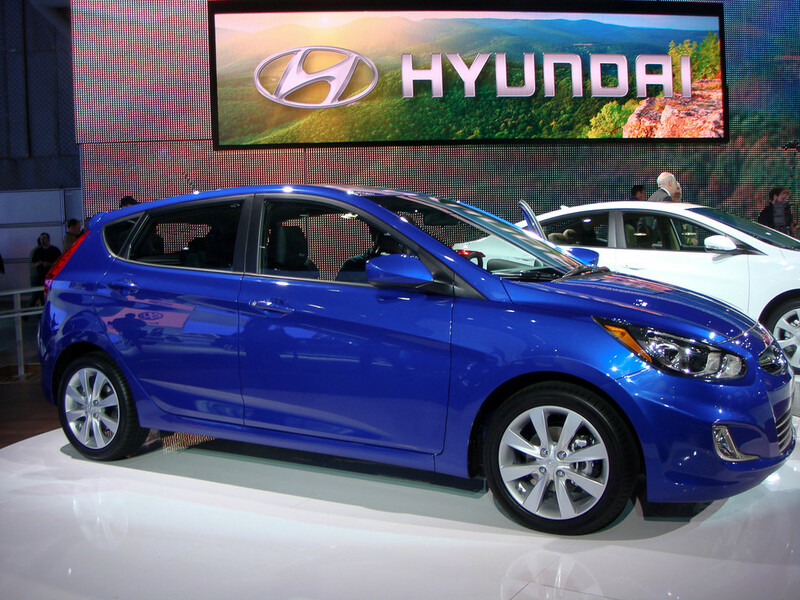 And while econoboxes are not usually things to get excited about, each new Hyundai model introduced since January 2009 has outsold its class competition, especially the midsize Sonata sedan, and now the compact Elantra sedan. The Chevy Malibu, Chevy Cruze, and even the Toyota Corolla have been left in the dust. And Krafcik is boldly playing with the house money. He has had to bring global models to the US as part of Hyundai's new strategy launched in 2007. But he has not shied away from including the very European looking hatchback and wagon versions of those cars. In 2001, Hyundai had two global cars in the US lineup. They were the Tiburon (called the Coupe worldwide) and the Elantra GT hatchback (whch looked a lot like a retro Saab 900 hatchback, had a very Saab-like dash, and was powered by Hyundai's first trustworthy engine, the iron block Beta II). 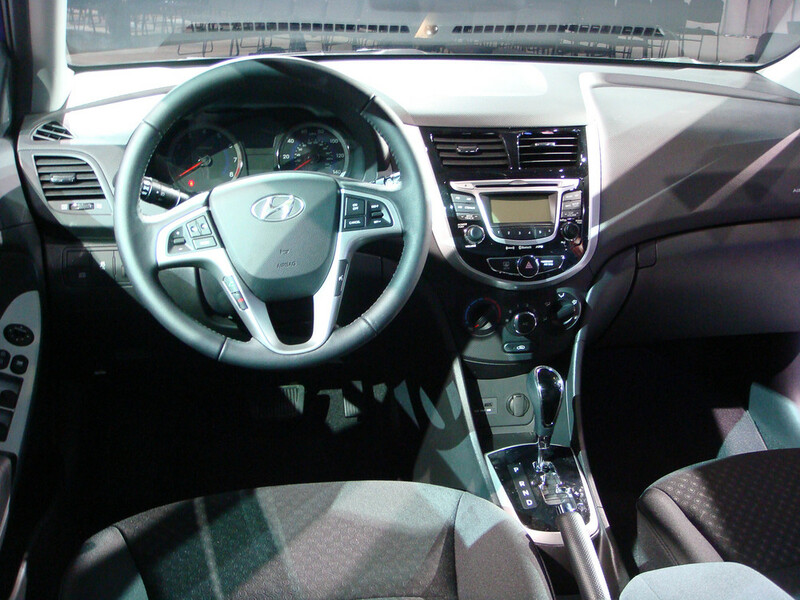 Now it is 2011, and Hyundai has six global models sold in the USA: the Genesis Coupe, Elantra Touring (i30cw), Sonata (i40), Tuscon (i35x), and now the Veloster, and Accent (i20). Sales are way up. Hyundai's reputation has been born again awesome. And the only other car company currently on a winning streak is Ford, which not coincidentally, is rolling out outstanding global models to all their markets. The days of Australia and Europe getting all the cool Fords is over. And so the Hyundai Elantra Touring, the i30cw in all other contienents, has a direct relative alongside it in the North American Hyundai lineup, the all new Accent (known as the i20 worldwide). The Accent is a breakthrough in the subcompact class. It's the first subcompact with a GDI (gasoline direct injection) engine. 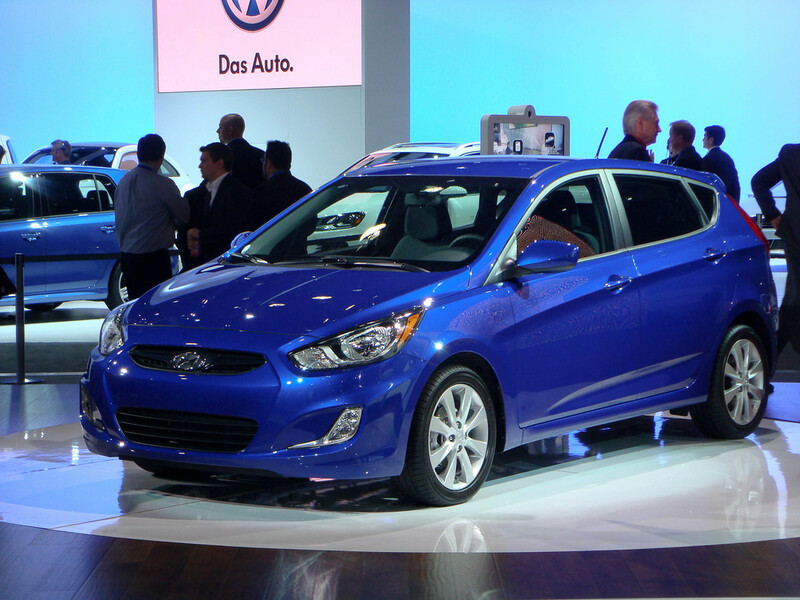 It is also the first subcompact to include a six-speed transmission (and it's standard). Together, that translates into 30MPG in the city and 40MPG on the highway, for a estimated 33-34MPG combined on regular 87 octaine gasoline. Unlike the Honda Fit and Ford Fiesta, which have crude torsion beam rear suspensions, the Accent has a small multilink rear suspension setup, like its big brother the Elantra Touring. That translates into a stickier and firmer ride. And the new Accent's 1.6GDI engine generates as much horsepower as the Elantra Touring's old Beta II engine - 138HP. So the Accent isn't underpowered at all. In fact it has more standard horsepower than all of its competitors, including the Chevy Sonic, Nissan Versa, Ford Fiesta, and Honda Fit. Only the Dodge Caliber has an option for a more powerful engine. We can expect the all new Accent to be a major sales hit for Hyundai. But I will be watching the hatchback version closely. With it's tall, European style taillights and tinyC pillars, I am curious to see if the hatch will catch on with American buyers. We know the Elantra Touring has become a sales hit in Canada. Will the Accent hatch also be popular with the Canucks only? Or will it continue to revive hatchbacks in the USA (like the Honda Fit and Volkswagen Golf have done). Hyundai is doing today what Honda did in the US 40 years ago. It is winning new customers to the brand, and giving them the option of hatchbacks, a very un-American body style, until recently. Volkswagen, Subaru, and Honda have been consistant in offering hatchbacks in the USA over the last 35 years. Now Ford and Hyundai seem to be firmly on board (with BMW soon to follow). Perhaps the scales have been tipped. Perhaps with the price of gasoline never to dip below $3.00 again, Americans have finally embraced the practical, spacious, stylish hatchback. We will be watching the Accent 5-door closely. It should outsell the Honda Fit and Ford Fiesta, and might even help chase the Smart Car out of the US market.